In today's story, we're excited to show you a unique interview with a recent graduate. This video is unique because Nita was also interviewed at the beginning of her weight loss journey, so you'll get to see a portion of that interview along with her graduation interview. The transformation is truly remarkable! 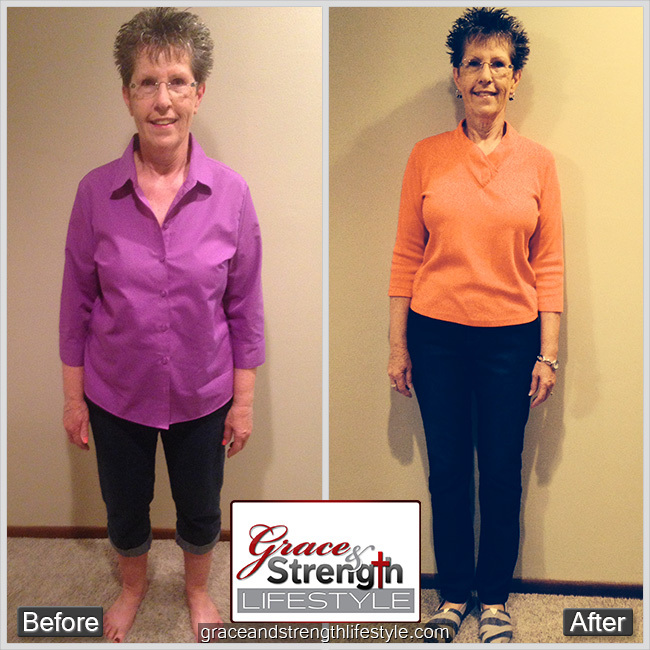 Nita's Story: I am so thankful to have found Grace and Strength Lifestyle through my friend Monica and the encouragement of my daughter, Sarah. 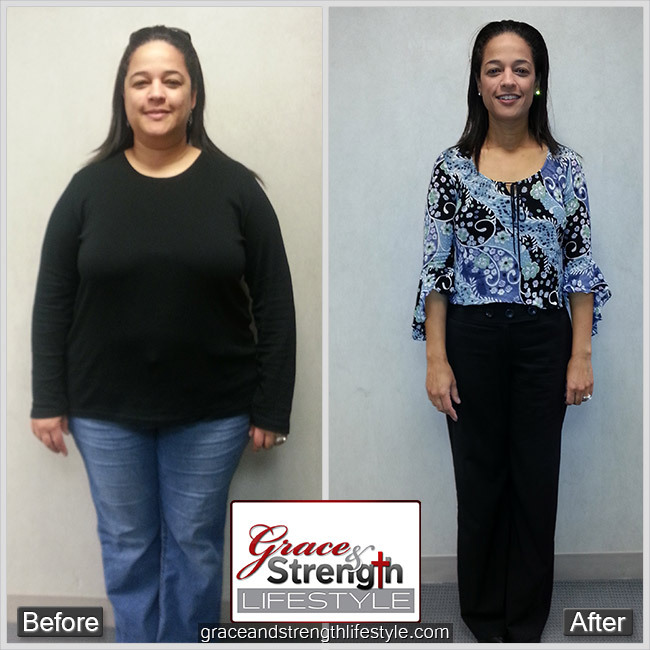 Rebecca's Story: I started this journey with Grace and Strength feeling beat by the world. I was overwhelmed with the feeling of being a failure and not knowing what my purpose in this world was a part from serving my God. Prior to starting Grace and Strength I had been led to start honoring God with my food and making my temple/body more pleasing to God. I was in the habit of trying to feel satisfied through eating more and instead of exercising filling my time with the unimportant. Was my health a spiritual issue? My friend Stacy shared Grace and Strength with me. I was immediately interested and excited about this diet. I was "ready" to be healthy and lose weight. My Grace and Strength journey was fairly uneventful. I'm a rule follower so once I knew what I needed to do I just did it. There were times that were hard and that I got discouraged but my coach Bekah was very encouraging. I really looked forward to the weekly Bible studies and it was often the highlight of my week. 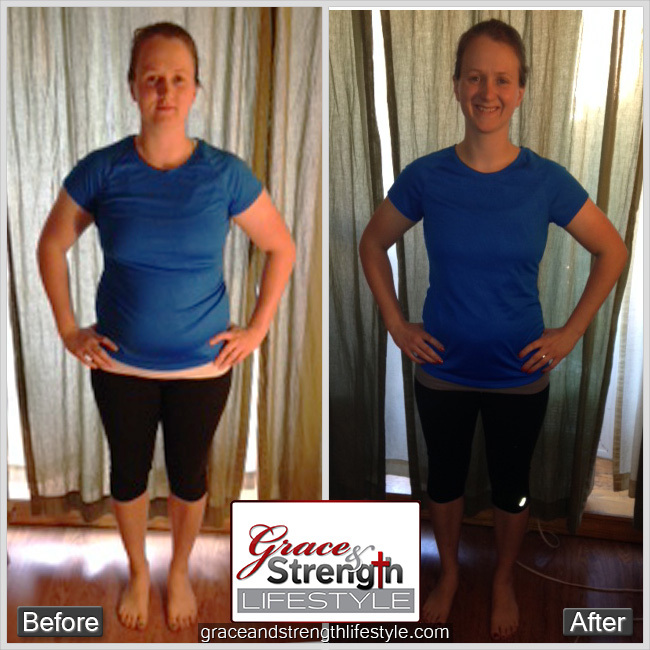 My exposure to Grace and Strength began this summer when I saw my coach‘s before and after weight loss photo on Facebook. I was blown away by the obvious success she had losing her weight. After inquiring and talking to her and another gal from Grace and Strength, I was really not sure this was something I would do.... What I could not figure out was WHY this program worked.